Christmas Game: This is a game that is played like the popular game Pictionary. 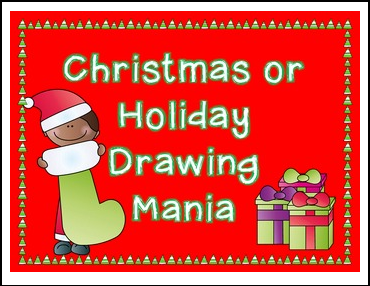 There are 36 sets of cards in color and black/white with holiday terms on them. One artist from each team draws the chosen card trying to get their team to guess the correct term. The team with the most points at the end wins the game. I have included a directions page with some other options for this game as well.